You may want to provide guidelines to each baker so that you get a good cookie assortment: rolled cookies, bar cookies, drop cookies, decorated cookies. Your friends may have family recipes they wish to share. 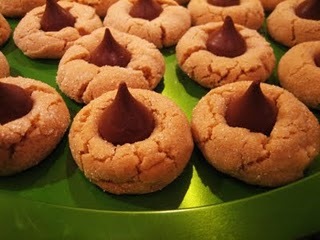 You can also find tons of recipes online, like on Allrecipes.com, Landolakes.com and Verybestbaking.com. Last year, I picked up a few inexpensive bakery boxes to package the cookies. You can find bakery boxes and more cute containers at Michael’s and other craft stores. And to add extra style to your cookies, print these adorable Land o Lakes gift tags. I got reusable tote bags on clearance last year and had a bunch of Glade candles and included those with the cookies. Everyone loved getting a little something extra. You could also include an assortment of candy, stickers or another small treat. Ask your guests to mail (or e-mail) their cookie recipes to you, or collect the recipes on the day of the party. Compile the recipes into a booklet for everyone to take home! Recipe booklets can be made in Microsoft Word or if you want to do something fancier, you can create a cookbook online.